AC Schnitzer has already showed up to the Geneva Motor Show with the Z4 99d, but that’s not the only model the German tuning firm is showcasing. 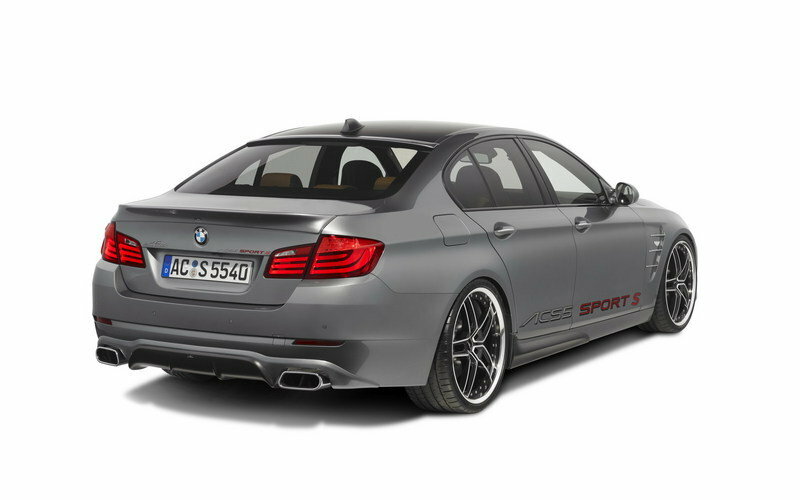 Alongside the Z4 99d, AC Schnitzer will also be displaying the ACS5 Sport S, a model based on the BMW 550i. Looking at their creation, no one would be all that impressed; there aren’t many changes done to the exterior leading people to believe it was just another minor and unimpressive upgrade for yet another BMW model. Then there are those other people that would expect a fantastically upgraded engine to counteract the anticlimactic exterior. The second group of people would be correct in their assumptions. 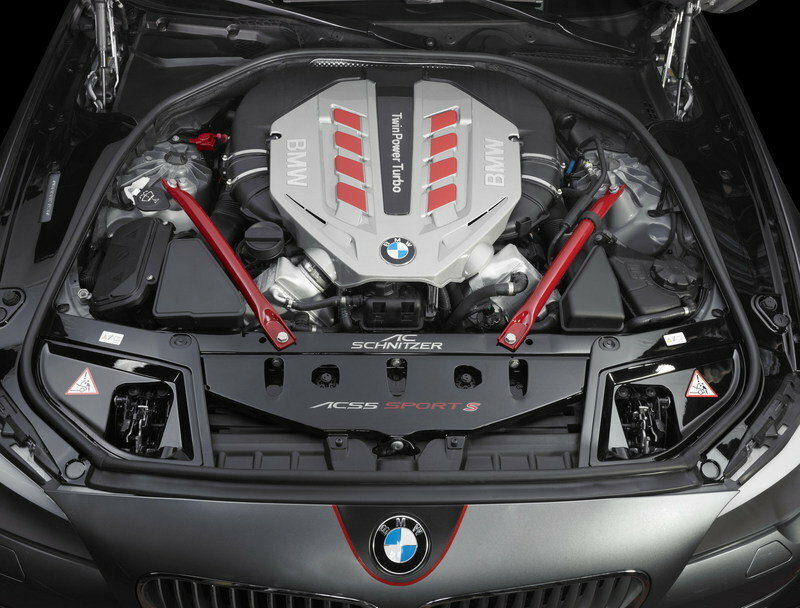 The ACS5 Sport S takes the standard 4.4L V8 engine found in the BMW 550i and has toyed with it enough to bump the standard 400hp to a phenomenal 540 hp and 750 Nm of torque. With the extra 140 HP, the ACS5 Sport S will sprint from 0 to 60 mph in 4.5 seconds with a top speed of 200mph. Flying through the corners will also be made easy with an added limited slip differential. Hit the jump to read more about the AC Schnitzer ACS5 Sport S.
While most of the changes were made under the hood, the exterior of the BMW also received a pretty impressive update. 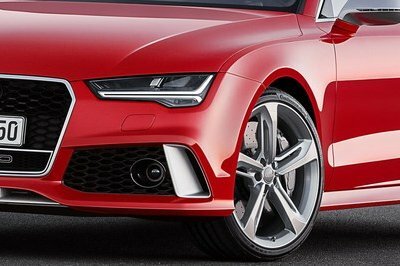 Ac Schnitzer has added a new front spoiler and chromed front grille, a new carbon front spoiler center part, carbon air ducts for the brakes left and right, and carbon side skirts. Also, because the engine has been updated to deliver 540 HP, the tuner has added new bonnet vents that offer better ventilation. The package also includes a rear roof spoiler, a rear skirt extension, AC Schnitzer sports wings left and right with Chromline Set, and a carbon rear diffusor. The entire look is completed by a protection and BiColor film. For the interior, the customer can opt for full leather trim in BiColor, painted interior trim strips, and racing bucket seats with the AC Schnitzer logo. The biggest changes on the ACS5 Sport S were made under the hood. In order to increase the total output from 400 to 540 HP, AC Schnitzer engineers provided some ECU modifications, an AC Schnitzer limited slip differential with up to 75% effect, and a new exhaust system with twin sports rear silencer and a chromed "Sports Trim“ tail pipe. With the extra 140 HP, the ACS5 Sport S will sprint from 0 to 60 mph in 4.5 seconds with a top speed of 200mph. Like many of the debuts at the 2011 Geneva Motor Show, the AC Schnitzer ACS5 Sport S has yet to receive a price. At least, one that we are aware of. 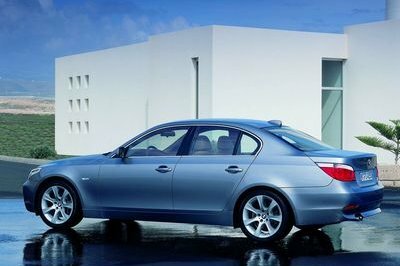 Even if the BMW 5-Series has had a relatively short history on the market, there are lots of tuning package out there to choose from. If an exterior update is what you want then the creation by Hamann would be the perfect package for you. The exterior package includes a front spoiler, aggressive side skirts, a rear bumper center valence, a roof-mounted spoiler, and a trunk-mounted spoiler. The tuner is also offering a lowering kit that reduces the car’s height by 35 mm. The exterior package is finished by 20" wheels, LED daytime running light inserts, and a stainless steel four-tailpipe sport exhaust system. Now, if you want some increased power to go along with your stylish ride, then this AC Schnitzer ACS5 Sport S is the package for you. 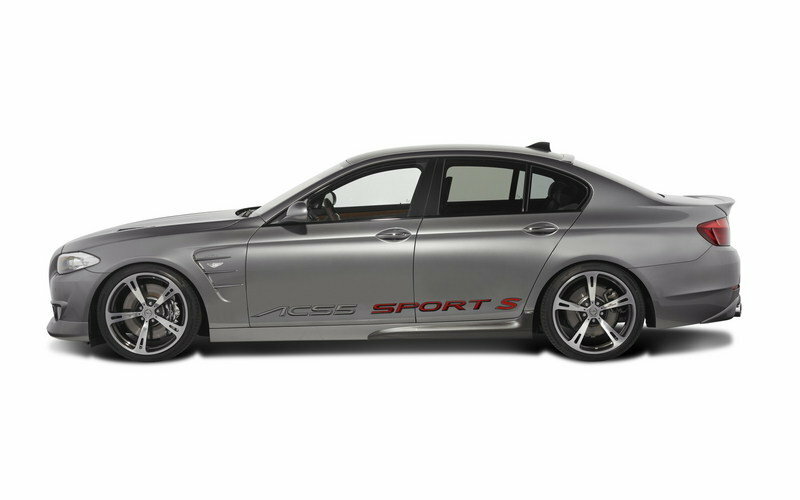 I like the concept of AC Schnitzer ACS5 Sport S, very sporty and dynamic too. Though this isn’t the best or unique still its pretty impressive. hmm. It seems that they are suggesting the Hamman to be the perfect package for this car. Does it mean that even the BMW is not satisfied with the figure performance of this car? I think it has already an impressive engine performance. IMO, the styling of the exterior is kind of bloat loaded. 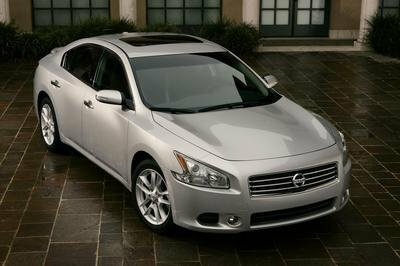 It has an impressive engine performance that makes it faster than the standard version. I hope to know the pricing of the car. Agreed. Well, I don’t think that its a excuse that the car is quite speedy that’s why the driver encountered a car crashed. For a professional driver, handling a high performing car that has around 700 hp is not really a tough task. hmm. It seem that AC Schnitzer favorite subject was the BMW! Well, I have to agree that they have an impressive modification for this car. However, I don’t think that the styling of the car is stunning. When it comes to styling, this car still need an improvement on its aerodynamic kit. However, the speed performance of the car its already impressive! It looks so simple on that paint job I prefer a sharper color to emphasize the detailing of this vehicle, let’s say ..orange? BTW, I want to see a modified version on its aerodynamic kit.. it would definitely makes the car sexier. Admittedly, the body kit of this vehicle looks sportier compare to the M series. And I would say that its power output is impressive as well. I wonder if this car will be expensive than M coupe? A rather simple take on the 550i actually. But I must admit that it is something I love, since the emphasis on this one is in the performance rather than the looks. BMW’s are definitely the specialty of AC Schnitzer. The way the work on these cars definitely amaze me. But it would also be good to see them work on other makes as well. I am not really that all familiar with AC Schnitzer. But I am now starting to like their work. The way they did this BMW is really superb. 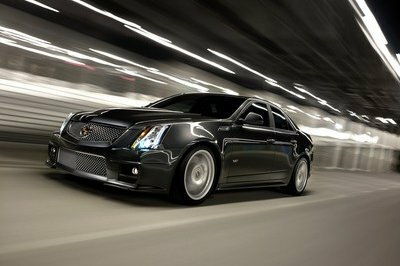 A body kit includes a chrome grille insert, a carbon-fiber front skirt and lip spoiler, side skirts and rear diffuser, plus hood vents and chrome exhaust pipes. 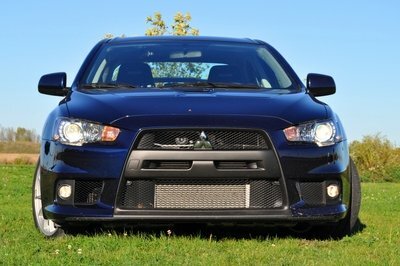 The aero bodywork includes a carbon front spoiler, chrome grille, rear skirt with carbon diffuser and rear roof spoiler.